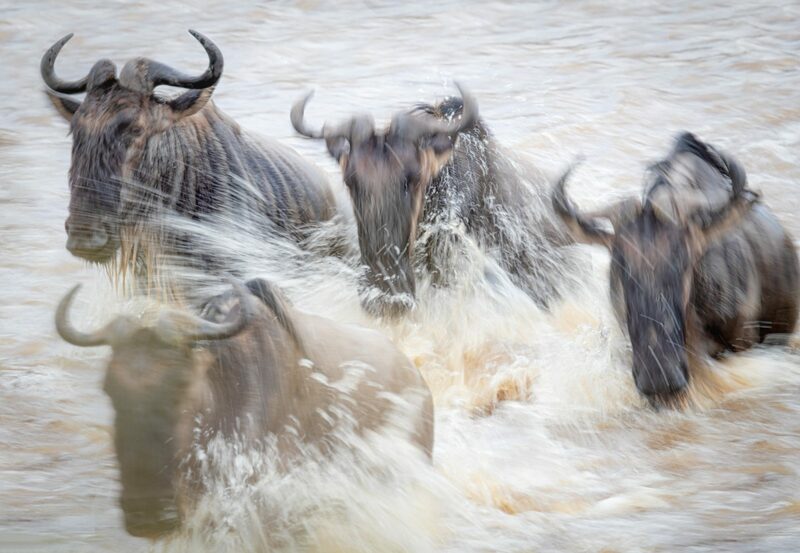 The frenzy during crossings is palpable : wildebeest thrash through the water in a panic to get to safety as quickly as possible. Tanzania. Canon 1dxmk2, EF 600mm f/4ii, 1/2000 sec at f/5.6, ISO 320, spot metering, manual mode, using gorilla pod with Uniqueball on jeep roof.